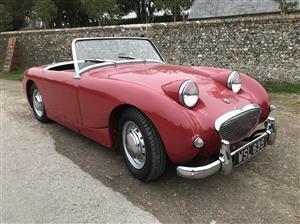 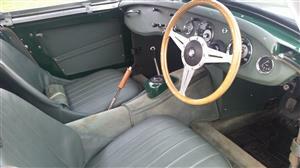 Mike Authers Classics Ltd the Midget and Sprite specialist has pleasure in offering this Frogeye Sprite. 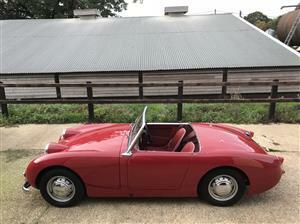 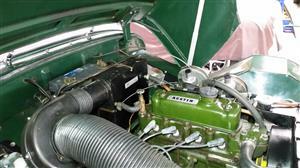 All steel Frogeye Sprite, 1275cc engine and box. 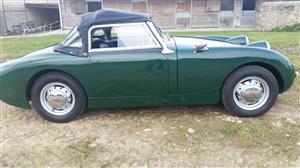 Mike Authers Classics the Midget and Sprite specialist in Abingdon is keen to buy Frogeyes from restoration projects to fully restored cars. 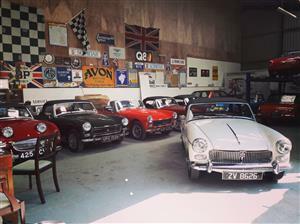 Please call Mike for a chat or email details and photos. 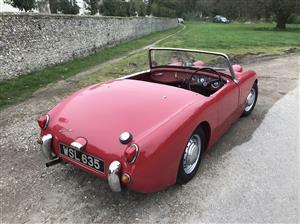 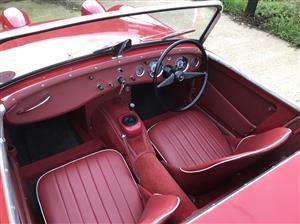 In the present ownership for the past seventeen years, this 1959 ‘Frogeye’ Sprite was restored to a very high standard some years ago and has only covered around 1000 miles since.